The Cummer Museum of Art & Gardens is a vital community partner that reaches out to diverse audiences through outstanding artistic offerings, dynamic learning experiences, & opportunities to participate in the beauty of the natural world. The Museum is an environment in which people enjoy the arts, gardens, and education which converge to create meaningful personal experiences and open a world of new possibilities. The Museum of Science & History (MOSH) inspires the joy of lifelong learning by bringing to life the sciences and regional history. They are committed to the community through inspirational and purposeful actions and thoughts. MOCA Jacksonville endeavors to create a permanent collection of significant depth, scope, and quality to be used for study, scholarly research, and exhibition – all tools that foster an education, awareness and experience with contemporary visual art. Explore the history of the Beaches. See a 28-ton Steam Locomotive, stroll down the boardwalk, visit our archives, step back in time in the old post office, shop in our lobby bookstore and gift shop. Visit us today for an exciting and informative experience. Since its grand opening on April 4, 2009, the Riverside Arts Market (RAM) has served as a popular community-gathering place and is arguably the most unique arts and entertainment venue in Northeast Florida. Located under the sheltering canopy of the Fuller Warren Bridge at 715 Riverside Avenue, RAM is an all-weather family destination that attracts an average of 7,500 visitors every weekend. At this National Park site, the history of freedom and enslavement takes on a different perspective. The lives of Zephaniah Kingsley and his wife Anna, herself a former slave illustrate this unique and little known part of Florida's history. 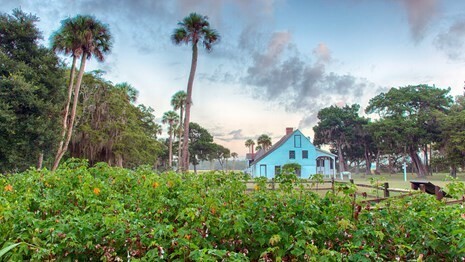 Historic structures include the barn, kitchen house, the remains of 25 tabby slave cabins, and the planter’s house, which is the oldest standing plantation era house in Florida. 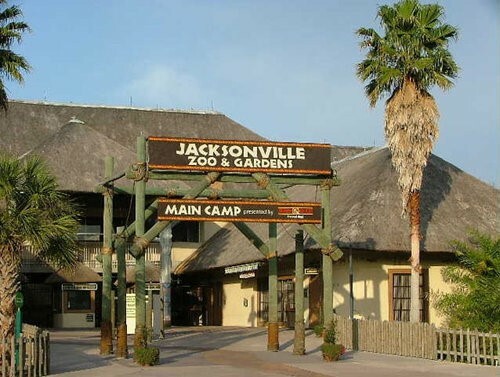 Escape to the Jacksonville Zoo and Gardens for the only walking safari in Northeast Florida. Discover the earth’s wildlife through interactive and educational experiences. A true family adventure, the Jacksonville Zoo and Gardens is growing and changing daily and is dedicated to consistently improving. Come out to Jacksonville Beach Downtown for the Jax Beach Art Walk and see over 80 local artists display their arts and crafts. Each month brings a new set of artists so it’s always different! Whether you want to show off your car or you want to admire your neighbor's car, bring your family out and enjoy the Jax Beaches Cars & Coffee. 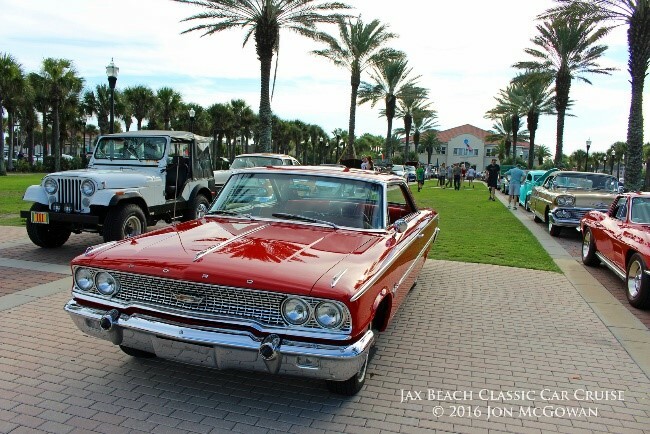 Whether you want to show off your classic car or you want to admire your neighbor's car, bring your family out and enjoy the Jax Beach Classic Car Cruise. 7 days per week This tour offers a relaxing way for the whole family to take in Florida’s first sunset and hear an abbreviated history of the area. Reservations are recommended. See the skyline views of Downtown Jacksonville from the "Top", venture into the secret underground tunnels in the "Bottom", and experience other behind the scenes stops. Tuesday more history focused; Thursday is more art & culture focused. Rated EXCELLENT on Trip Advisor. We are the official concessionaire in Talbot Islands State Parks, offering guided kayak, SUP and Segway ecotours as well as kayak, stand up paddle board(SUP) & bike rentals, SUP instruction, SUP yoga and a summer kid's camp. Enjoy the full fan experience at TIAA Bank Field and cheer on the home team by chanting DUUUUVAL during any home game. Fans can watch the game live on the field or on the Worlds Largest Videoboard from the Bud Light Party Zone, Fanduelville Deck, Terrace and Spa Cabanas, or US Assure Club Seating. We aren’t kidding, the Jumbo Shrimp are a big deal around here! Baseball fans of all kinds are welcome to join and cheer on the home team during any of the fun home game special events. No matter what experience you’re looking for, the Shrimp can deliver from Thursday Thursdays, Family Fireworks, Boy & Girl Scout Nights, and event National Shrimp Scampi Day!